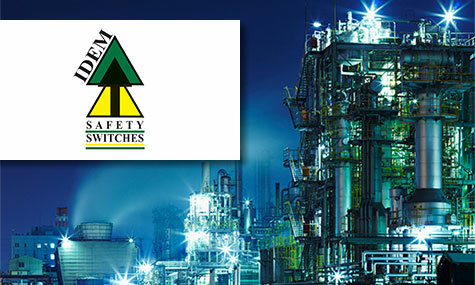 IDEM Safety Switches | UK Electrical Distributors – E. Preston (Electrical) Ltd. Mechanical interlock switches — including tongue, hinge & guard locking switches, magnetic & coded non-contact switches, grab wire safety rope switches, SCR safety relays and modus safety modules. A UK-based facility for research and development, design and manufacture of safety interlock switches for machines and industry. IDEM is a relatively new company, built by a team of people with a total of over 200 years specialist experience. The company is based in Wigan in the North West of England and their components are sold across Europe, Asia, the USA, Canada, Australia, New Zealand, Brazil and South Africa, as well as here in the UK. E. Preston Electrical Ltd is an official distributor for IDEM electrical products. Visit the online store to browse thousands of components.